The first thing you ought to do is make a rough calculation of the expected expense of your trip abroad. To this amount, add its 15% to act as a safe buffer zone for expenses and hence calculate your net total money required. Tip #1 Load 70% of your total expense abroad in Prepaid Travel Card, the best way to carry cash. Prepaid Travel Cards/ Forex Travel cards are what you should be carrying when going abroad because of their numerous benefits to customers. Prepaid travel cards can be loaded with single or multiple foreign currencies if you are visiting more than one country. Prepaid cards are used just like Debit or Credit cards at ATM’s and PoS(Point-of-Sale) machines for card-based purchases. Prepaid travel cards allow you to lock in the exchange rate of the foreign currency. Even if the rate fluctuates later for the good or the bad, you’ll be safe and secure in getting your promised currency rate. In case you have leftover amount in your prepaid forex card, it can be turned over to the issuer at the prevailing exchange rate. Prepaid travel cards have high security as they come enabled with smart chip technology and need both card and pin for withdrawing money. This allows you to carry money safely. You can reload/recharge prepaid cards online by transferring required money in Rupee to the card provider’s account and load your card with the equivalent foreign currency. Also, most prepaid cards offer an emergency cash service. In the event of loss or theft of your card, you can call the card provider’s toll-free number to arrange for emergency cash and also re-issue your card within 2-3 days. The majority of your expenses are usually cashless in nature when travelling abroad. Stays in Hotels, Food and Dining, Shopping and Flight Tickets, which can be paid for through your forex card. This would comprise about 70% of your total expenditure. Tip #2 The 30% rule. Carry the rest 30% of total in local currency. Only a relatively small portion of your foreign travel expenditure, about 30% would be required for activities like catching a cab, hailing a bus ride, entertainment, amusement Parks, eating at restaurants where cards are not accepted, buying Souvenirs and Trinkets from wayside shops and so on. This data has been arrived at by The United Nations World Tourism Organization (UNWTO), which conducted a survey on the spending habits of tourists and travellers in 2014. RBI allows maximum US$ 3000 or its equivalent in any currency to be carried as cash in hand while travelling outside India. So before your trip abroad to another country, convert 30% of total expense to the local currency of that country. 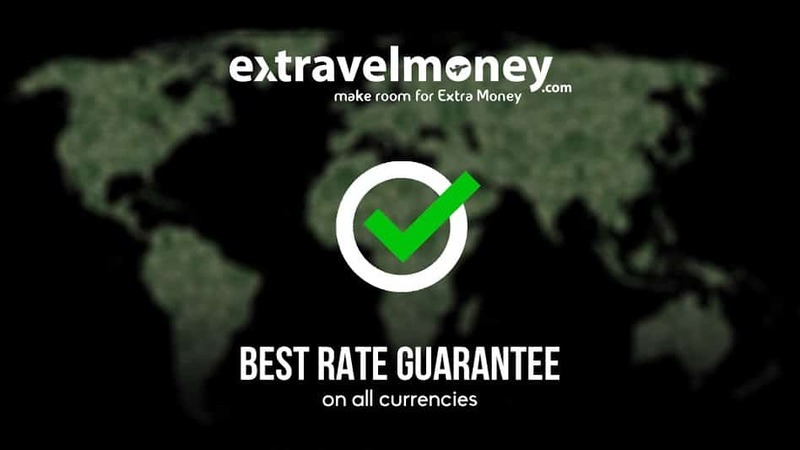 We at extravelmoney.com offer unbeatable exchange rates on forex and a easy way to carry money! Credit Cards come with their own perils. If you were to use one abroad for your purchases, you’d get the current exchange rate of the day. Since the Rupee is on a downward trend against the dollar this means it’s smarter to lock the rate through a forex card before you go overseas. Cross Currency Charges would be levied on your transaction abroad, which could easily be 2-4 percent of your transaction value. Also, the bank abroad will charge your credit card bank in India with an exchange rate that has their profit margin built in. ATM withdrawals through credit cards are a major source of fees for banks. You could sometimes be charged as much as $10-25 per use! Remember, credit cards offer interest-free loans only up to a short time. Once that period gets over you’d be penalised with heavy interest rates! Debit cards also suffer from most of these problems. The exchange rates offered by debit cards are much worse than credit cards. As a general rule keep these cards only as backup options when you don’t have cash in hand or have misplaced your forex card. Another method is travellers’ cheques but you should hold out for a moment if you considered them as an option. Hardly anyone uses it now and they are not accepted as a means of payment in many places including a lot of banks. Also, the exchange rates offered are not very good and it may end up putting a dent in your wallet. Do yourself a favour, when travelers cheques are presented by your bank to you as an option to carry currency, decline it. Tip #5 Don’t keep all your eggs in one basket! 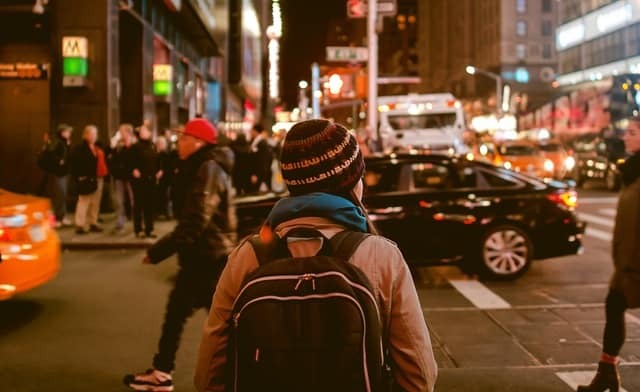 Considering that you’d need 30% of your expected expense in cash, you should consider these safety hacks to carry the money through safely when in another country. Keep your forex card, credit, and debit card at different places within your clothing and the backpack you are wearing. This strategy makes a lot of sense since all your money sources are now not bunched up in the same place. Have a secret pocket stitched in your pants where you can store most of your cash for your immediate needs and keep a small amount in your wallet in the back pocket. This is to ensure that even if you are pickpocketed, the thief is tricked into thinking that he has got your money and thus does not approach you again. Similarly, split the total cash available and keep it among the different pieces of baggage you have so that in the event of any one item getting stolen or lost you would not lose all your money.